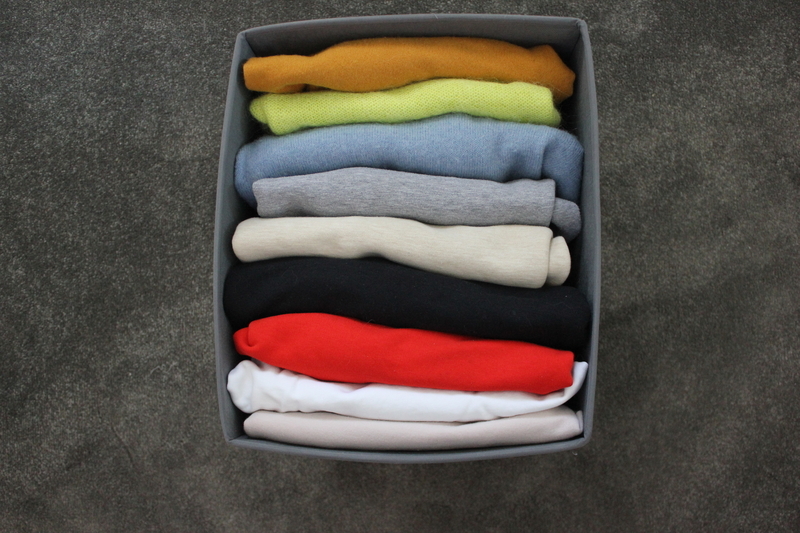 How to Re-Organise your Wardrobe! So last week we tackled how to re-organise your kitchen cupboards and today we’re going through wardrobes. This is another area people frequently have issues with. Given our fast fashion tendencies these days we buy far more clothing than we ever used to. This means we require more space to store it and more frequent clear outs to stay on top of things! 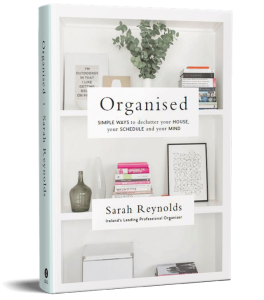 Follow our step-by-step guide on getting yours neat and organised. Step One: Our first step is always to take everything out of the wardrobe. This leaves you with a nice blank canvas to start off with. Bear in mind there will be clothes everywhere so give yourself a few hours to do this and make sure the space around you is clean and clutter free. Step Two: Hoover out the bottom of the wardrobe, this will be much dustier than you think! Also give the floor and walls quick wipe down to make sure all is clean before you put everything back in. Step Three: This is the tricky one…you need to go through all your clothes and decide what to keep. We recommend getting a close friend or family member to help you with this, make sure its someone who will be brutally honest about those baggy jeans you’ve had since 1995! This can also be fun- you need to be prepared to try everything on and only keep what fits. We would say if there are a few things you’re not sure about keeping or want to hold onto for sentimental reasons, keep it to just five pieces. Step Four: Make four piles; keep, bin, charity and friends/family. Your biggest pile is most likely going to be what you are keeping. The ‘bin’ pile is anything that is stained, dirty or broken. ‘Charity’ is whatever you think is in good enough condition not to throw away but nobody you know would like it. ‘Friends/Family’ is anything you think someone you know would wear, be careful with this one though as it can be a bag of clothes that hangs around your home for weeks and can start sneaking back into your wardrobe. Step Five: Once you have decided what you are keeping its time to decide how to store it. 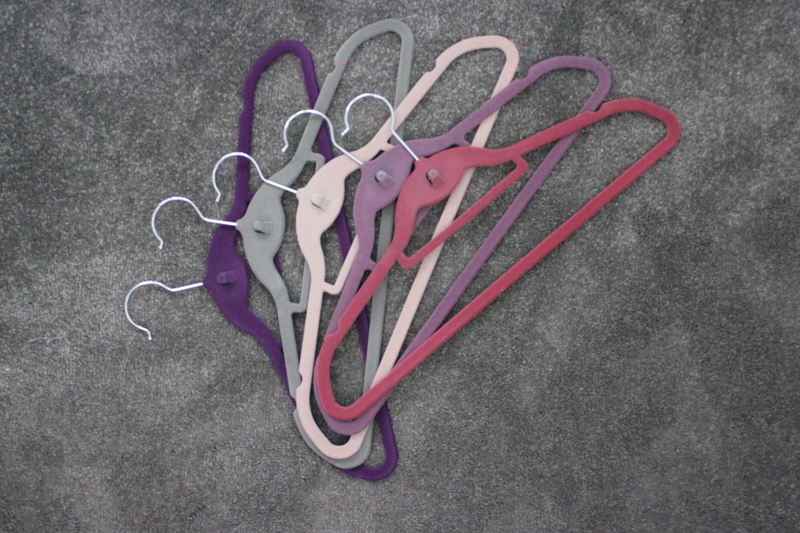 First things first is hangers, many of us will just use the plastic hangers given to us when we purchase an item. These you should recycle, or say no to next time you buy something. They have no support or structure for your garments and can leave clothing out of shape from being badly hung. We would recommend investing in some velvet hangers, they are not very expensive and can be purchased in places like Penneys, Dunnes, Homestore and More or Ikea for around five euro. They will support your clothes much better, as well as preventing them from slipping off. Step Six: When it comes to heavier pieces like knitwear it is not recommended to hang these up. They are usually heavier garments and can be stretched out of shape even on velvet hangers. They also take up a lot of space when folded into drawers. We would recommend some storage boxes, these are from Ikea and can fit loads in. Folding your knitwear in here keeps it all in one place without taking up loads of space, they just slip underneath the bed or can stay at the bottom of a wardrobe. Step Seven: Depending on the season we like to take out whatever we aren’t wearing. 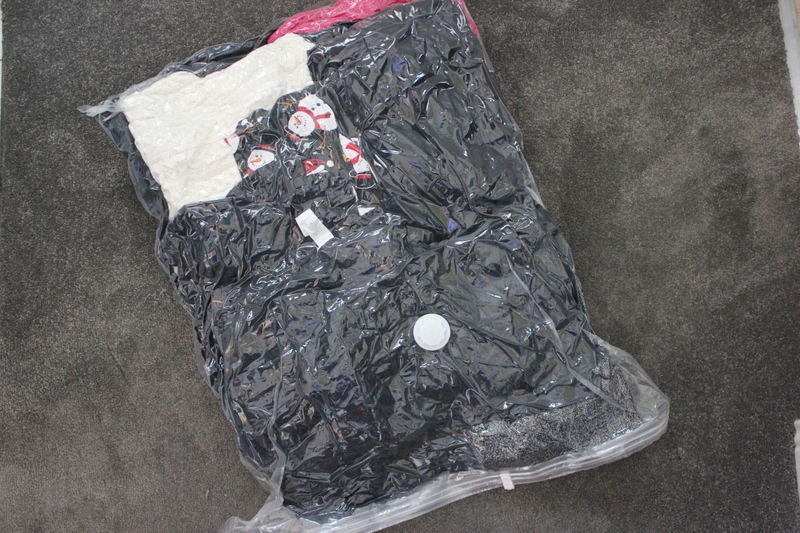 So for example in Summer all our knitwear, long sleeved pieces, scarves, and winter coats go into a vacuum bag. These are fantastic at saving space as so much fits into just one! After we’ve sealed it all up it can go up in the attic until needed next winter or be stored under a bed in a spare room. As you can see we have lots of winter black in ours! Be careful when choosing to use these that as soon as you open them, you won’t be able to re-seal them. Despite what they promise, we’re yet to find ones that re-seal after opening. They aren’t very expensive, however, so as part of your seasonal organisation, factor in buying one or two. Step Eight: Now we come to one of the most difficult area for most people…shoes. 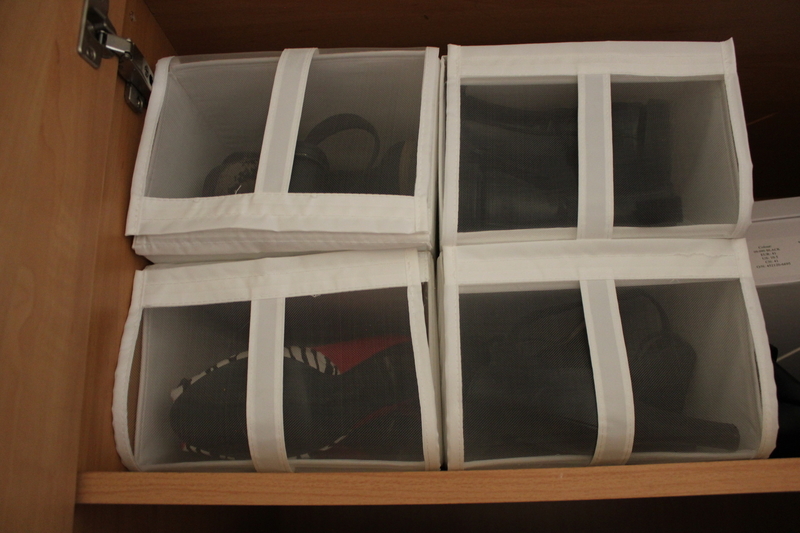 As we all have so many from high heels to winter boots it can be tricky to store them neatly. If you can try and keep the shoe box they came in it will be the easiest way to spot them in a wardrobe and store them neatly. Keeping them in a box also stops them from getting damaged and marked if they are all thrown on top of each other (which almost everyone does!). If you don’t have the boxes they came in you can buy some fairly cheaply from Ikea, like these ones. If you have heels or sandals you can actually fit two pairs in each of these. We keep shoes we wear less often such as high heels up at the top of the wardrobe. For your more everyday shoes we would keep these at the bottom of the wardrobe where they are easy to get to. Step Nine: Now you have all your storage solutions covered its time to put all the clothes back in! We like to have ours organised by garment. So blouses together, skirts, trousers, dresses etc. This will make it easier for you to find what you are looking for. 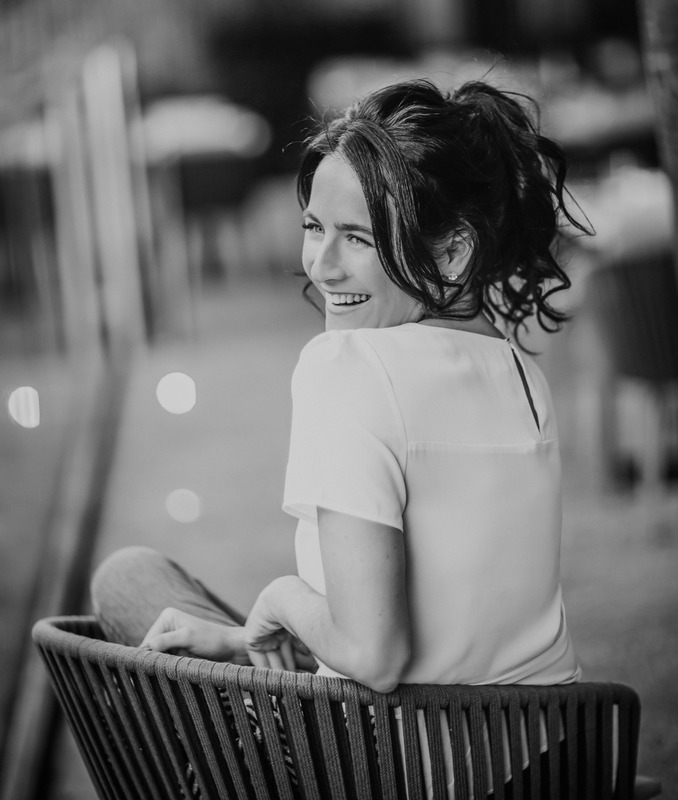 Some people prefer to have their work-wear separated from their casual-wear and have it organised that way, its important to do it in a way that works best for you. We like to take it a step further and have each garment group going from light-dark. So if you are looking for a white shirt they are all in one place! Step Ten: Lastly you need to keep it up! This is the hard part, as just one evening of not knowing what to wear can leave your wardrobe in a heap. Try to put washing and new clothes away immediately instead of leaving it as one big task that you could end up doing in a rush. Also, make sure to keep up with what you are wearing and what you’re not. We would recommend a wardrobe clear out every season after you switch over your vacuum sealed bags. Have you been clearing out your wardrobe lately? We’d love to see it! Make sure to send us your before and after when you’ve re-organised your spaces either on Facebook, Twitter or tagging us on Instagram! Are you always fighting with your wardrobe? If this was a guy would you have broken up already? Take charge, choose outfits, flick through your rail like a boss! It’s the only step you’ll have to take on your own, we’ll help you take care of everything else!